During July-December 2014, with the use of “public diplomacy”, Russia actively offered itself to the US as a partner in order to resolve a number of international issues (Syria, ISIS, Ebola, etc.). In August last year, the Boisto Plan was published. It was developed with the participation of the American diplomat Henry Kissinger and representatives of two relevant Russian universities (in particular, the Institute for US and Canadian Studies). In September, there was a PR-campaign conducted by major US and Russian media outlets. As its final chord, the head of analytical agency Stratfor George Friedman visited Moscow in December. He was invited by the Ministry of Foreign Affairs of the Russian Federation and the Moscow State Institute of International Relations, where the parameters of American-Russian cooperation on resolving global problems, especially the conflict in Syria, have been discussed. The deterioration of the situation in Syria during July-December made the Kremlin’s proposal more attractive for Washington. It seems that a turning point was in December 2014 after the publication of a RAND Corp. report, in which the US official foreign policy course’s goal of overthrowing the Syrian president was called a mistake. According to the RAND Corp., weakening the Syrian regime will only complicate the much greater problem of ISIS expansion given that the US-supported Syrian opposition representatives and the Iraqi government failed to deal with the group themselves. Even airstrikes on terrorists’ positions carried out by allies’ air forces have not helped. In these circumstances, the Obama’s administration decided to use the Kremlin’s mediating services in order to try to reconcile the pro-American Syrian opposition with Syrian President Bashar al-Assad, which is openly supported by Putin. For this purpose, on January 26-28, three-day negotiations between the two opposing sides were held in Moscow. Also, contact between the US Secretary of State John Kerry and the Russian Foreign Minister Sergey Lavrov was significantly intensified. For Ukraine, this cooperation has already resulted in the quite moderate and one-day-postponed US president’s reaction to the terrorist act in Mariupol, as well as in the postponement of an emergency meeting of foreign ministers of EU member states from January 26 to 29 – that will be the day after the extremely important Moscow negotiations on Syria. Most likely, it would be undesirable to complicate these negotiations by discussing the continued controversies on the Ukrainian question. 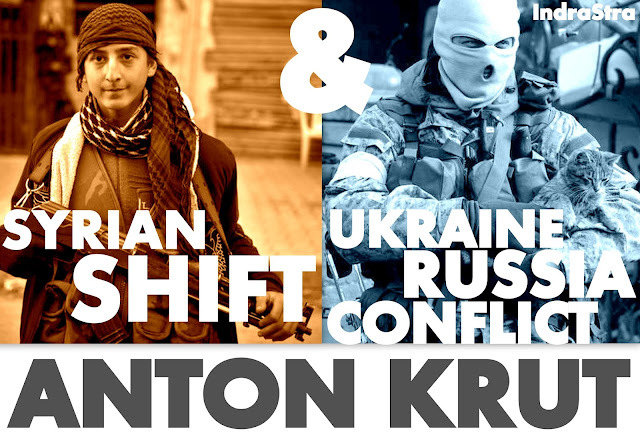 The "Syrian shift" in US foreign policy may lead to a number of consequences for Ukraine. The further shift of the US administration’s attention from Ukraine to ISIS is also possible. In this respect, the United States’ cool attitude toward the Syrian opposition is extremely significant. It should be noted that Washington went against the Syrian opposition’s interests in order to achieve a priority goal – the destruction of ISIS. Shifting the burden of solving the Syrian problem to the shoulders of Moscow is a symptom of the growing soft isolationism of the Obama administration. The US president prefers to pay the lion's share of attention to the United States’ internal problems (health care reform, racial integration, etc.) and in many cases limit its foreign policy priorities to maintaining the world order. Ukraine is thus viewed by Obama in that context. In practical terms, this means a visible moralistic rhetoric with a minimum of real actions. If the Moscow negotiations turn out to be successful, one can predict the breakthrough of international isolation and a partial rehabilitation of Russia in the eyes of the international community. However, one should not expect a global agreement between the US and Russia on the Ukrainian issue, as in addition to a tactical agreement on Syria, there are deep contradictions between the two countries, i.e. regarding nuclear disarmament (test-launch of the intercontinental ballistic missile "Bulava", Russia’s claims over the INF deployment in Europe etc.). It is unlikely that the US rhetoric on Ukraine will be rapidly changed, but gradually the Ukrainian issue will become less important. And the importance of Russian partnership to address critical international issues will remain. Therefore, it is necessary for Ukraine’s diplomats to elaborate new parameters regarding the settlement of the conflict with the RF and not to rely only upon its American partners so as to not find out one day that the solution of the Ukrainian conflict has become a part of a broader package deal between both geopolitical players.